My seed starting setup left just enough room to add one planter to the windowsill. 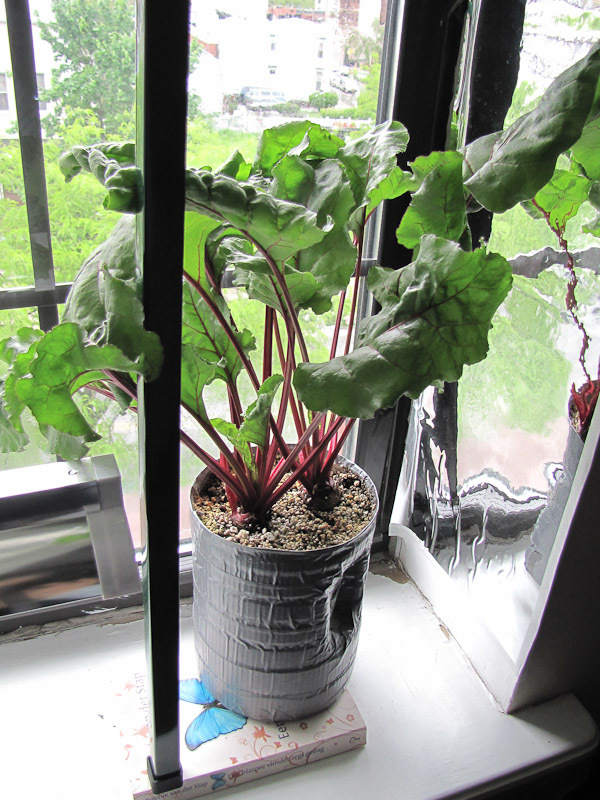 Instead of a house plant I decided to continue with the indoor vegetable gardening experiment. 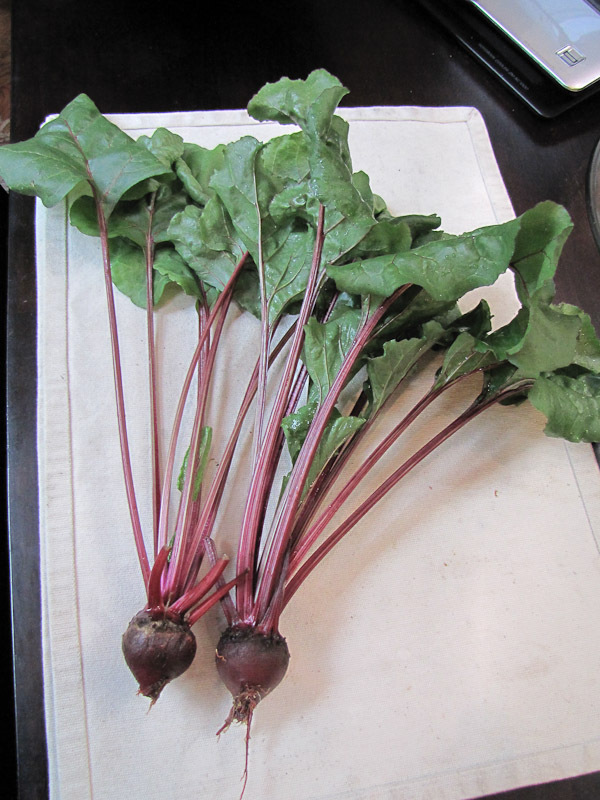 Last time I grew radishes, this time it's beets, Detroit Dark Red. Their coloring was absolutely gorgeous, lying somewhere between maroon and magenta. 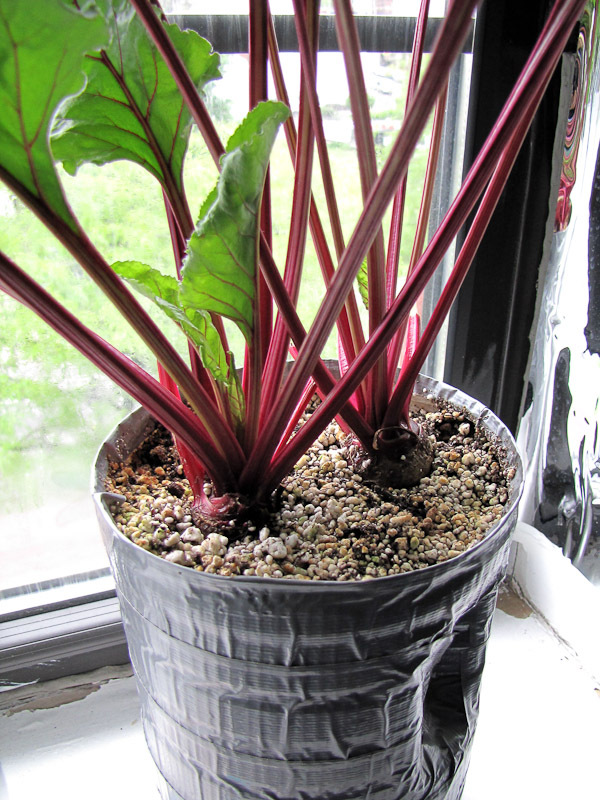 Seeds were courtesy of fellow NYC garden blogger, gardening in the boroughs of nyc, thanks again Mimi! These took longer to mature than outdoor grown ones, 80 days instead of 60, but the outcome is the same so I'm happy. I'll try carrots next, or maybe turnips. Beets are such beautiful plants. I wish I liked eating them so I would have an excuse to grow some. W O W! I can't wait to show my husband, he's going to be amazed! Did you start the seedlings under the growlights? 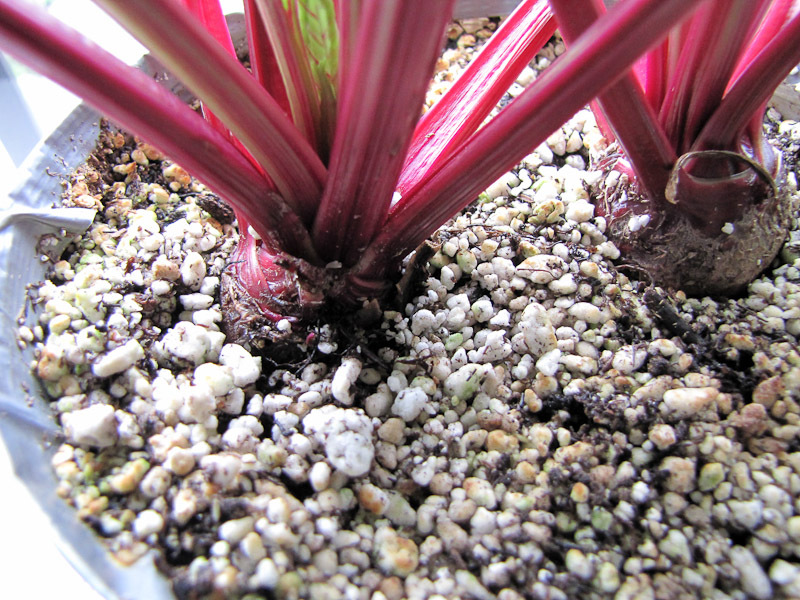 BTW, eat the beet greens too! They are just as delicious as the beet. I sautee them with olive oil and salt and pepper. Absolutely delicious! Disregard my growlight question. I just clicked on that link in your post. So cool! BTW, I have some purple carrot seeds if you want to try that indoors Lemme know and I'll send you some. Hi Mimi, the seeds were directly sowed into the container in the pics. It was never under the grow light, just next to it. I'd love some carrot seeds. Do you need my address? I'm bowled over. 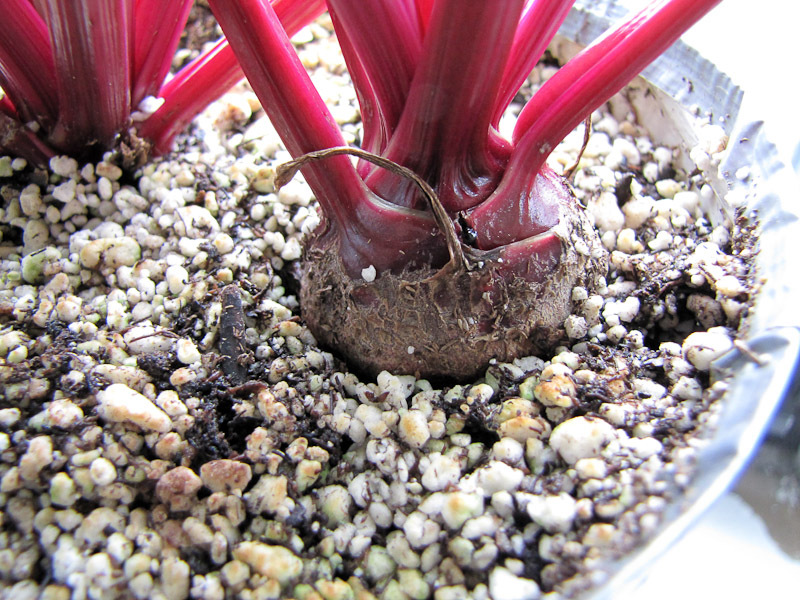 Beets grown in a container in the house?? I didn't think there would be enough light! I guess just being next to the growlight did the trick? Maybe I should consider this. Every single houseplant I have tried to have gets nibbled or devoured by one of our cats. Being next to the grow light definitely helped. It's a south facing window too. @Pea Sheller I feel the same way about the purple pepper I grew last year. The peppers were beautiful on the plant, but their taste was blah so I wouldn't grow them again.